The Macan may have to improve in the looks department if it hopes to compete against the upcoming SUV onslaught. The Porsche Macan has only been out since 2014 and already it has become one of the automaker’s best-selling models ever, but sluggish sales could come to plague the mini SUV if Porsche fails to keep it ahead of the coming onslaught from its competitors. Who are we kidding though, this is Porsche, so of course it’s going to give the Macan a mid-cycle update to keep it as spry as ever in this boiling hot segment. Our spy photogs just caught evidence to prove this theory correct, so feast your eyes. 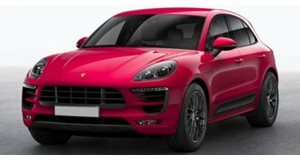 Unfortunately for anyone hoping for a night and day difference between the two SUVs, the 2018 Macan looks almost exactly like the old one save for some camouflage on the headlights and front bumper. That’s not exactly an accident though, since Porsche enjoys camouflaging making its test mules look like its current vehicles to confuse public eyes. The most apparent changes are up front, where a larger spoiler lip helps the Macan look track ready (and certainly chips away at its off-road capability). At least a modest ground clearance keeps the Macan from scraping on curbs in the parking lot. At the rear are camouflaged tail lights, which will compliment an LED stripe going over the back that looks similar to the one on the new Panamera. While we couldn’t catch a glimpse of this Macan’s insides, it would be wise to speculate that Porsche will let its design team loose in there in order to try and keep the Jaguar F-Pace, Mercedes GLC, and upcoming Land Rover Velar from catching up in the sales department. Engine options could grow as well with the baby Porsche SUV gaining diesel units that comply with South Korean emissions regulations and a plug-in hybrid model for those who really want to save the environment. While we’ve heard rumors that a predict a fully electric version of the Macan, our best guess is that Porsche will save that version for the next generation in order to rush its Mission E to dealership floors first.